Title: 'Carte Particulaire des Costes Meridionales d' Angleterre'. By Bellin / Depot de la Marine. 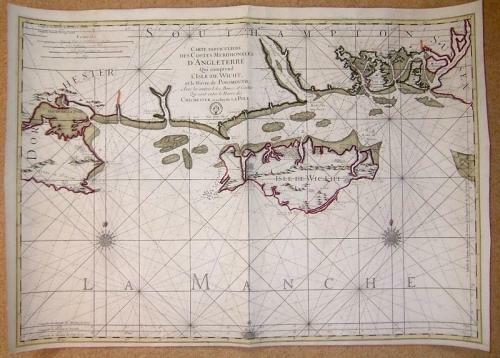 A large and impressive sea chart of the English Channel and Isle of Wight. In very good condition on strong paper. Two small wormholes at centerfold.